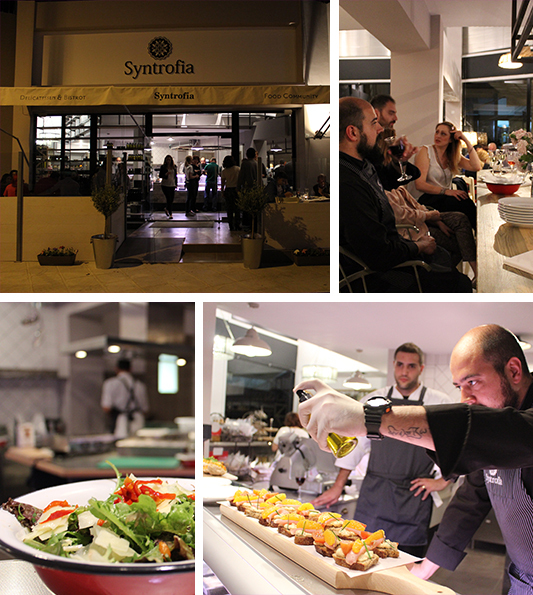 “Syntrofia” was established by a group of friends and associates who decided to provide their knowledge, their experiences , their professional expertise and mostly their whole-heartiness in a trial to create an exclusive gastronomic richness of a combination of tastes by Greece and Cyprus. The journey begins with a selected product and our own association with the producer. Our own vision, is the immediate collaboration with the vine-grower, the beekeeper, the cheese producer, in a part of the world where the family may enjoy their wine, honey and cheese. We are recruiting small businesses, with local associates, small co-operations, by choosing the finest from our gravel products and we prepare the cordial and warm environment of exhibition, offerings and hospitality over-seas. 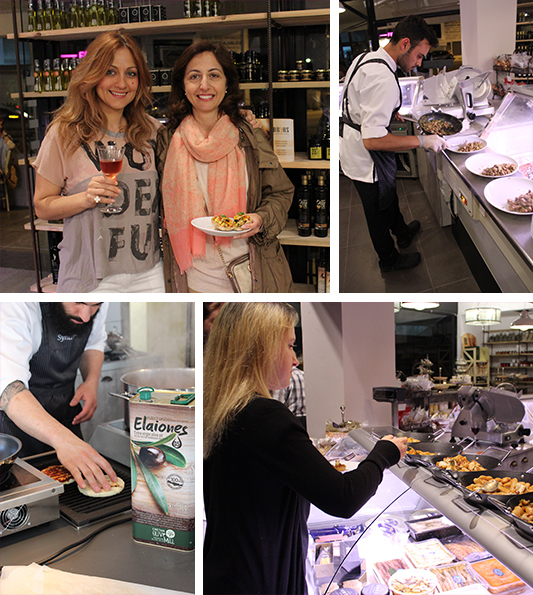 And that is where, we come in contact with the consumers and the producers, we familiarize them with the products, their origin and their dietarian value, we initiate the use and we offer the tastefulness of the traditional recipes. Mostly we establish a community of friends, small local “companionships”, and in a collaboration with them we search, we learn and we enjoy this journey. 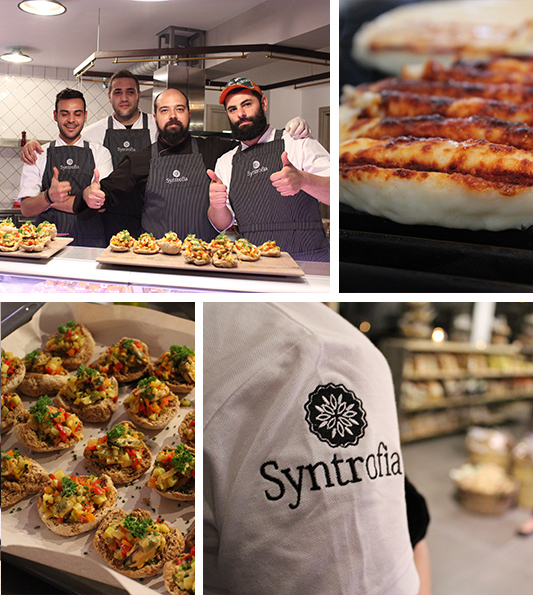 The name has been inspired by the first “Kini Syntrofia”(common companionship) that was established in 1778 in a small community of thessalia, the ampelakia and remained as the first collaboration. “Kini Syntrofia” created a small financial and social miracle which led to the spectacular prosperity of not only the 6000 constituting members but also the small community. The basic ingredient of the “kinis syntrofias” success, was not only the financial collaboration, but also the managerial, the social and the ethical bonding was developed between the members. The philosophy and the structural construction of this companionship, the collaboration spirit, the geographical producing, the innovating character, the bonding between members and the national vision are the main characteristics that our Syntrofia envisions, by adopting its name. Syntrofia covers a continuous need of the consumers who seek selected products of high nutritional value and small producers who have the urge to provide these products. The small mass production and the personal care, are the facts that reassure the desired quality. Unfortunately, the small mass production dismisses the products from the transport net, and the personal care focuses upon the product and not on the commercial stimulation. Thus, the products are not easily handed to the seekers, and if and when they arrive, they are overpriced. Syntrofia, creates the liberty for these specific producers to place his items, and immediately approaching the consumer. It also ensures the promotion of these products. On the other hand, the consumer may find the item that he or she is seeking in the very place of Syntrofia. It does not stay up to there, the consumer is also provided with every useful information about the use of the items, its specifics and its exact origin. Due to the outlets of syntrofia, the consumer and the producer come into immediate communication, and serve their needs, by avoiding detrimental charges on the items that they buy or sell.